“Churches should address HIV as part of their public health response instead of considering it as a separate issue. 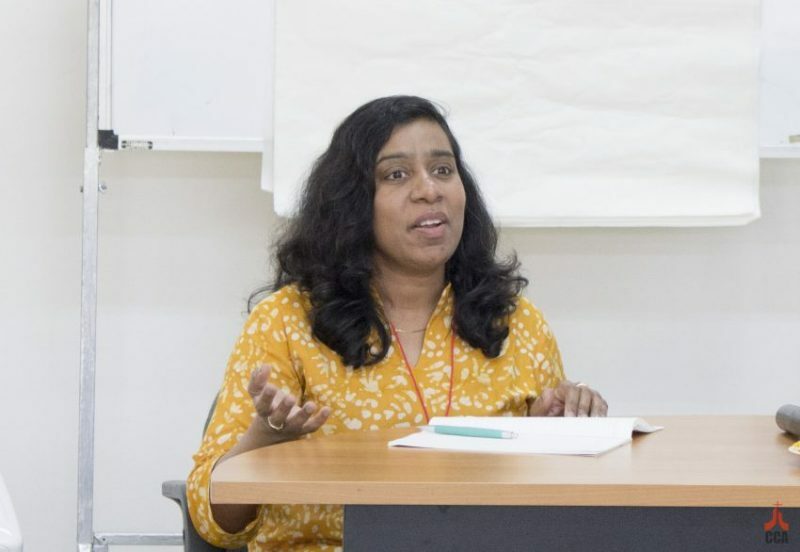 Churches have the capacity to respond to the need of the adolescents and children living with HIV, particularly in providing psychosocial support”, said Shirley Mark Prabhu, Adolescent Health and HIV Specialist in the East Asia and the Pacific Regional Office of UNICEF. Speaking on the ‘Current Situation of Children and Adolescents Living with HIV in Asia’ at the Skill Building and Advocacy Training Workshop organized by the Christian Conference of Asia (CCA), Ms. Prabhu said, “There is a rise in new HIV infections among young people in several Asian countries but health care services and systems are not youth friendly in many parts of Asia. There is an urgent need to ensure that children and adolescents have proper access to services. In this situation, churches should talk about HIV with openness”. “Young people accounted for almost one-third of new HIV infections in Asia and the Pacific in 2017 (UNAIDS Estimate 2018). While the total number of people living with HIV has been on a decline, the HIV prevalence among young key populations in certain countries are increasing. Adolescents are particularly faced with structural barriers that hinder their access to HIV testing, life-saving treatment and other health services (UNAIDS, HIV and YOUTH)”, she added. “There are many barriers to testing and access to treatment as young people have to take consent from parents and that has been very challenging. The location and identification of adolescents are essential in order to know the epidemic in their age group and to understand their needs in our response”, Ms. Prabhu explained. Twenty four participants selected from member churches and councils of CCA attended the workshop held at the CCA headquarters in Chiang Mai, Thailand from 19 to 22 March, 2019. In her closing remarks Ms. Prabhu added, “No single prevention approach can stop the epidemic alone. To meet the ambitious 2020 and 2030 targets, it requires focused combination packages that offer a mix of proven high-impact HIV prevention interventions. Combination prevention programmes for adolescent key populations should be evidence-informed and human rights based, including community empowerment and peer outreach”. Based on their experiences, the participants highlighted the need to find an entry point to discuss HIV and AIDS, vulnerabilities to HIV infection and role of the Church in combatting HIV and AIDS. They also mentioned the need to document good practices by the churches and disseminate the information to government and other faith based organizations as well as with UN agencies in order to play a pivotal role in combating the epidemic. The participants identified existing platforms in the churches to discuss such topics including the pulpit, Sunday Schools, youth camps, and women’s fellowships. The skill building workshop was part of a series of capacity building training organised by CCA for HIV and AIDS advocacy facilitators from churches as part of CCA’s special programme ‘Action Together to Combat HIV and AIDS in Asia’ (ATCHAA).